Perhaps one of our favourite hoodies. This Wiz Khalifa Hoodie looks incredibly stylish. 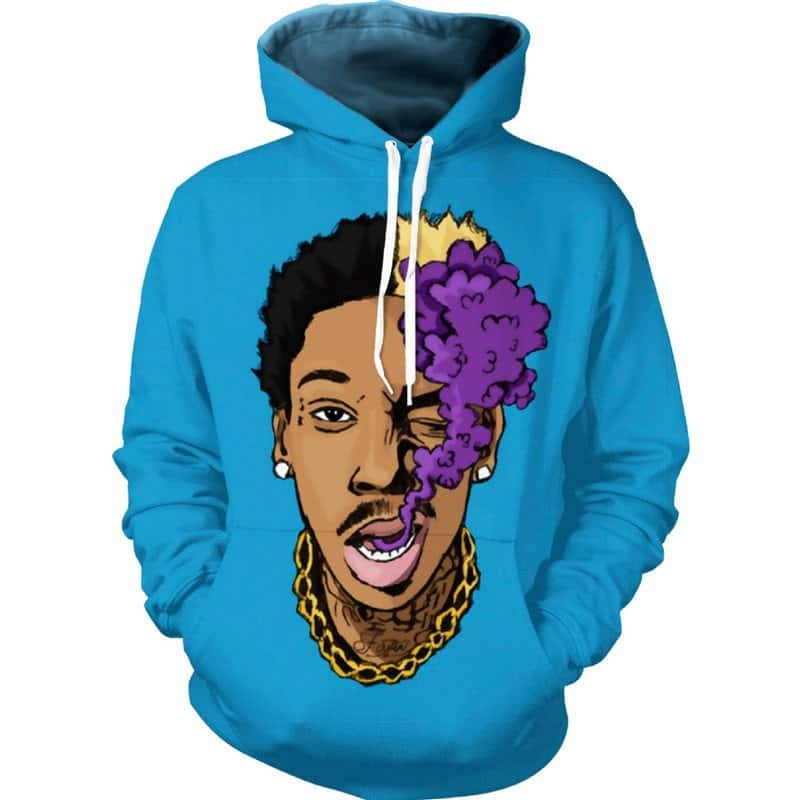 The Hoodie features Wiz Khalifa smoking and puffing out purple smoke. The print of Wiz Khalifa itself is very detailed. The hoodie is a light blue and this looks dope with the purple smoke. The hoodie is comfortable to wear, looks fashionable and is wearable anywhere. It was designed for both male and female.